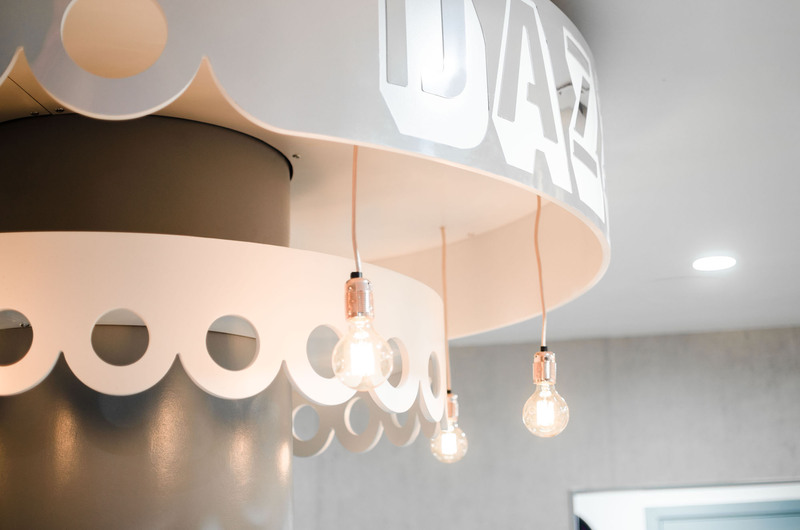 Taiwan’s kitsch cafe chain Dazzling Cafe opened it’s doors in Manchester in February and 4d creations were lucky enough to help deliver the interior for the first UK cafe in collaboration with This is Interiors. 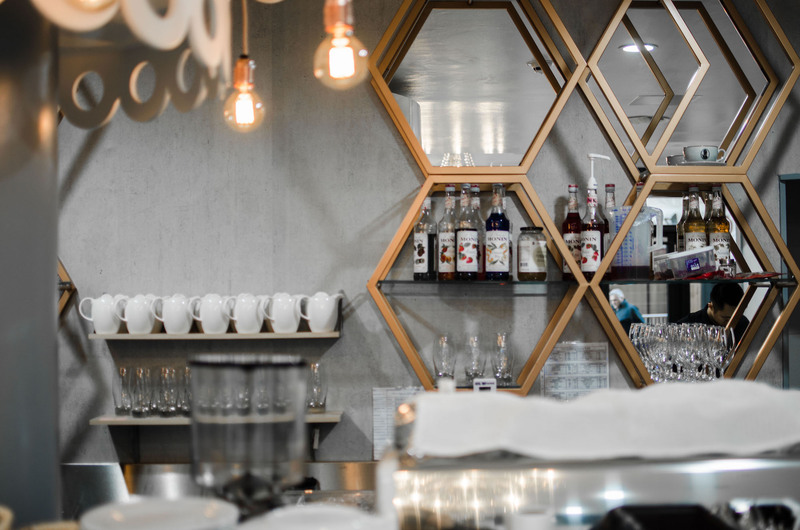 With a specific colour palette and design in mind, the clients were keen to create a bold and lively interior to make the cafe a ‘destination’. 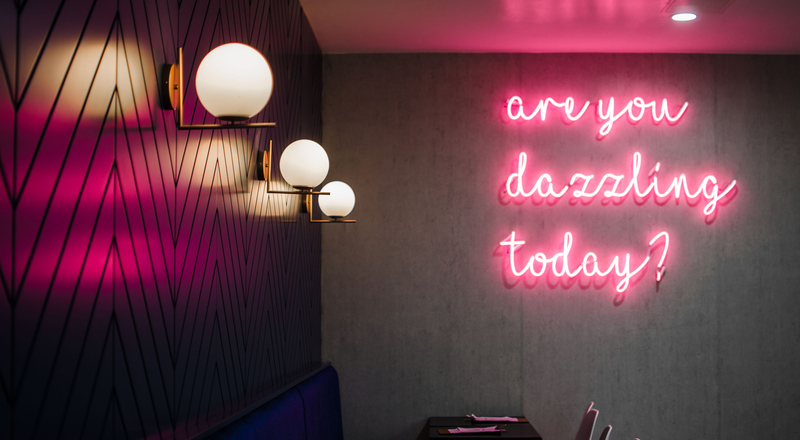 The first of the products created by our team was the fluorescent pink neon lighting which was set against a dark concrete background; an interesting focal point as you first enter the cafe. 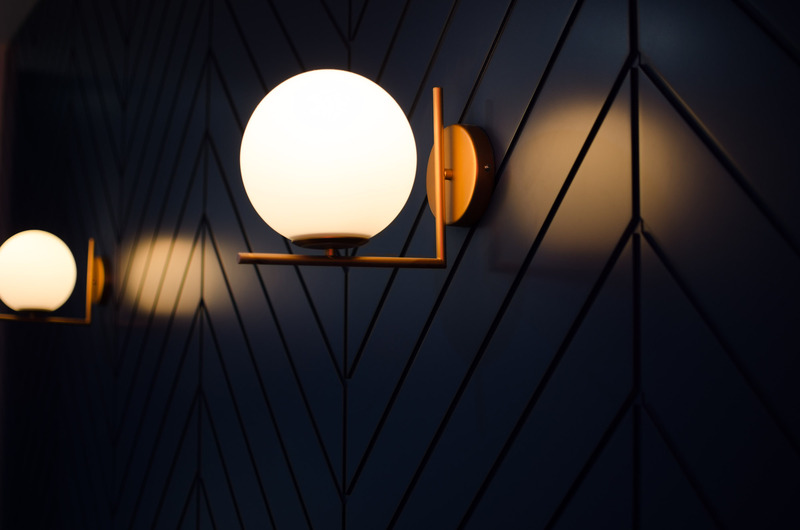 A specific shade of rose gold was required for the wall mounted lights; a shade that would be used across many metal features within the cafe. 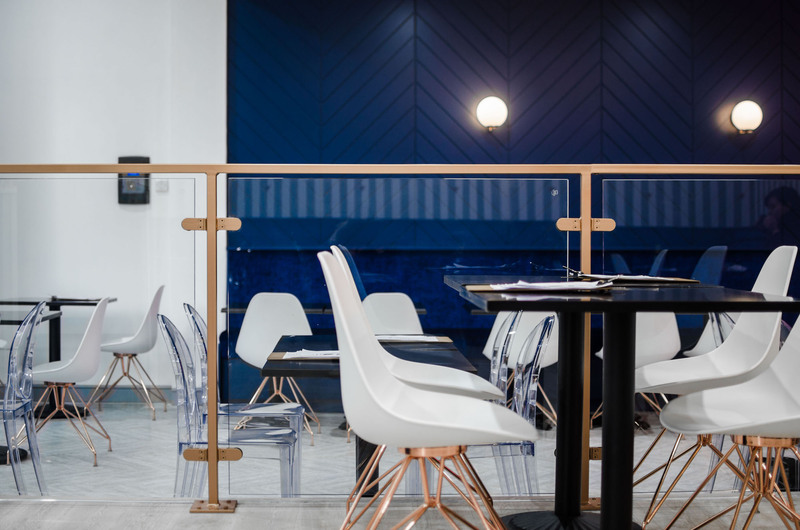 Our team colour matched, mixed and sprayed the existing lights. 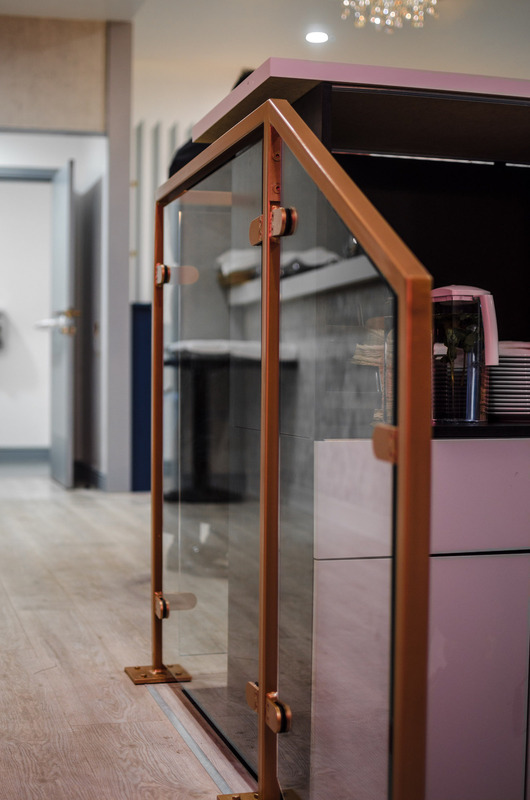 Here we manufactured and installed a bespoke balustrade; produced using 10mm CE certified toughened glass panels and steel painted in rose gold with clamp fixings. 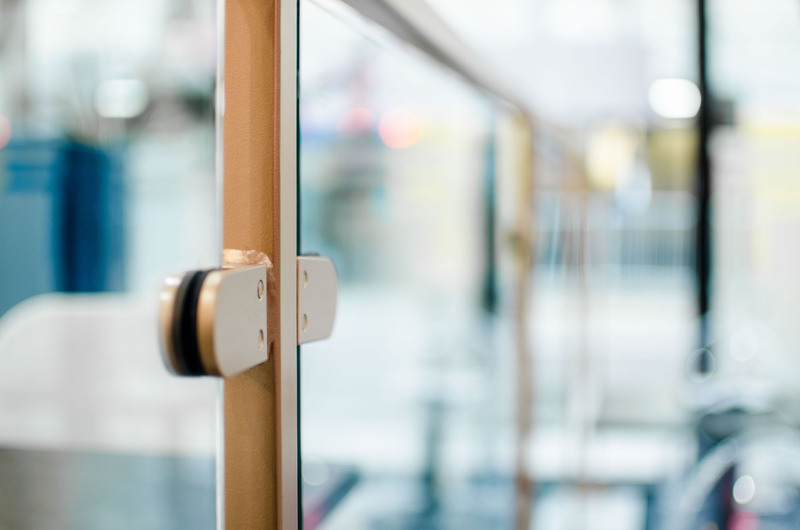 As part of our Architectural features service line we offer bespoke joinery and metal features and finishes. Here we produced and installed a specially crafted wooden carousel. An impressive focal point with a matt white finish and faced in a mirror laminate fixed to an existing column. 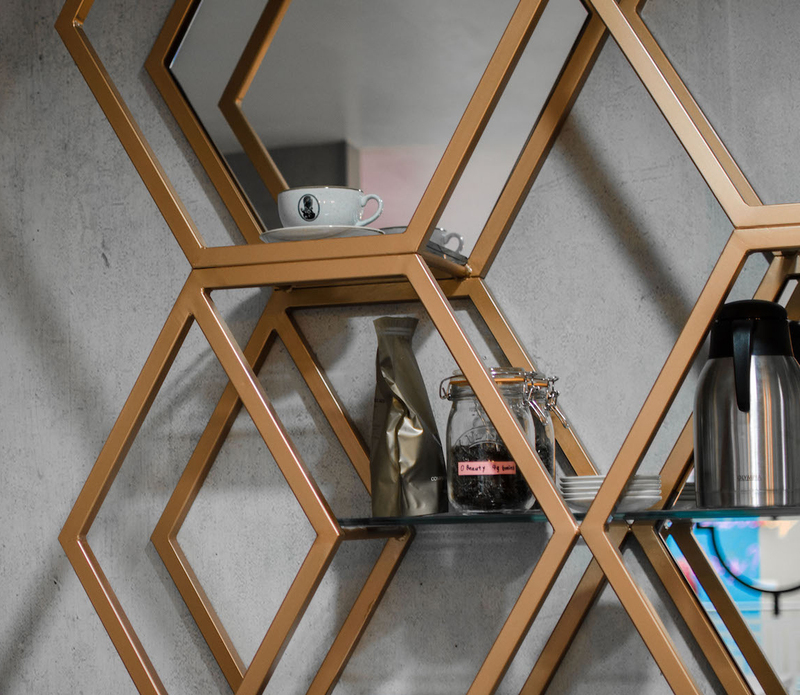 Something of a signature for Dazzling Cafes, honey toast comes in different flavours, but always looks impressive in its presentation – as does this shelving unit created by our production team. 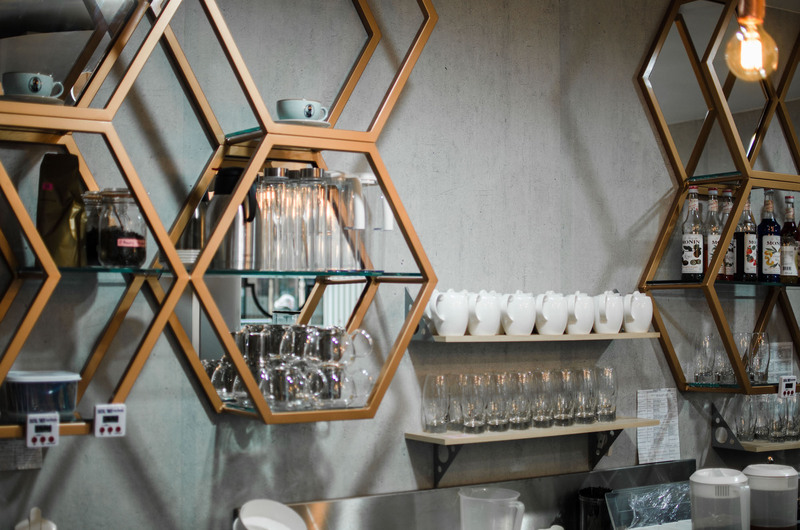 Honeycomb was the inspiration behind the shelving mounted behind their order points; manufactured using steel with glass shelving and mirrored backing.